Things haven’t turned out exactly as planned for Viacom. 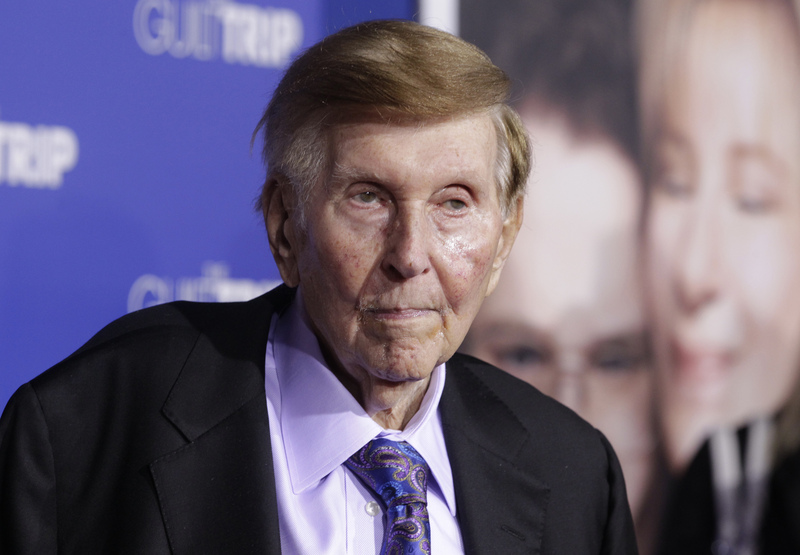 When Sumner Redstone cleaved his media empire a decade ago, it was primarily to liberate the faster-growing owner of MTV and Nickelodeon from the sleepier CBS broadcast network. Ten years hence, Viacom’s shares have barely budged while those of CBS have nearly doubled. With a current market capitalization of about $17 billion, Viacom has bought back nearly $21 billion of stock since it started trading on Jan. 3, 2006. It hasn’t exactly found value. Viacom paid an average price of $52.06, according to annual reports, more than one-quarter higher than where the shares closed 2015. Even after Viacom unexpectedly started paying a dividend in 2010, it has been unable to keep up with peers. The total shareholder return clocks in at just 11 percent over the decade, or about 1 percent annualized, compared to 129 percent for CBS and Time Warner’s 136 percent. As Chief Executive Philippe Dauman engineered the finances, following a pervasive buyback trend across corporate America, the TV landscape started changing dramatically. Viacom suffered. “Jersey Shore” scored MTV’s highest ratings ever with an average 8 million viewers per episode in 2011. None of its shows since then has captured the zeitgeist similarly. Kids network Nickelodeon has been a problem child. MoffettNathanson analysts reckon it lost more than a quarter of its most important audience during the 11-month period ending July 2015. Shows like “Paw Patrol” suggest the start of a turnaround, but there’s much work to be done. Comedy Central, meanwhile, is trying to rebuild after recently losing a collection of stars including Stephen Colbert and Jon Stewart. Dauman, Redstone’s legally minded right-hand man, holds extra and uncommon responsibilities for a CEO. It recently came out in court documents that he will serve as Redstone’s proxy if the ailing 92-year-old can’t make his own healthcare decisions. Dauman, who took the helm at Viacom in September 2006, is also a trustee for Redstone’s business interests. The broadcasting business is only getting tougher. Netflix and Amazon are spending heavily on original programs as a golden age of TV makes competition for viewers increasingly cutthroat, even as Viacom invests some $3 billion a year in its shows. To compete will take decidedly more creativity than Dauman has applied to the balance sheet. Viacom and CBS completed their breakup on Jan. 3, 2006, when they began trading as two separate companies. Shares of Viacom, home to cable networks MTV, Comedy Central and Nickelodeon, along with movie studio Paramount Pictures, have gained 7 percent since the split. Over the same period, shares of CBS, the operator of the U.S. broadcast network of the same name and pay-TV channel Showtime, are up 84 percent. Sumner Redstone controls both companies through National Amusements, which holds an 80 percent voting stake. He added that the company has invested in programming as well as targeted acquisitions, including “Teenage Mutant Ninja Turtles” and Channel 5 in the UK.